It is Small Business Week in Airdrie, and the Airdrie store was honoured to be nominated for the prestigious "Winning Edge Award"! Not only were we nominated, but we made it to the Top 5 Finalists position, going up against some stiff competition! The Winning Edge Award is given to a small business who shows excellence in customer service, knowledge, community spirit and involvement. 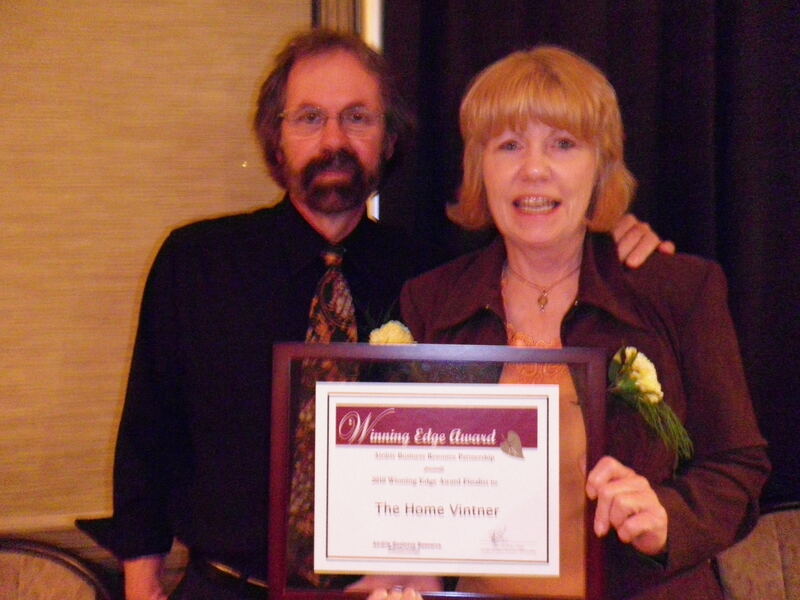 The Home Vintner Airdrie shines in all categories! We raised over $1000 for the Airdrie Humane Society; a fundraiser is planned for Volunteer Airdrie ; donations are given to the local Library, etc., for Silent Auctions, along with all our filter rental money and used bottle sales donated to various charities. The Home Vintner Airdrie was presented with a beautiful Congratulations plaque, which is being proudly displayed in the Airdrie store. Thank you to all our customers and the Airdrie business community for supporting us for this Award. We raise a glass to our customers for sharing our passion for good wine..........Salut! For a complete photo album, see our Facebook page!